Allo and Duo are waiting to change the way we message. Google isn't content with taking over the home. It's also concerned with taking over how we communicate as well. Coming soon to Android and iOS devices is Google's Allo and Duo apps, both meant to revolutionize the way you communicate. Allo is a messaging app that features emojis, Assistant features, and end-to-end optional encryption in a bid to make messaging more secure for users in light of ever-emerging privacy concerns and other issues facing consumers who decide to communicate via text these days. Allo is focused on straightforward messaging and Assistant integration, while Duo is more focused on video messaging and improving reliability for users. 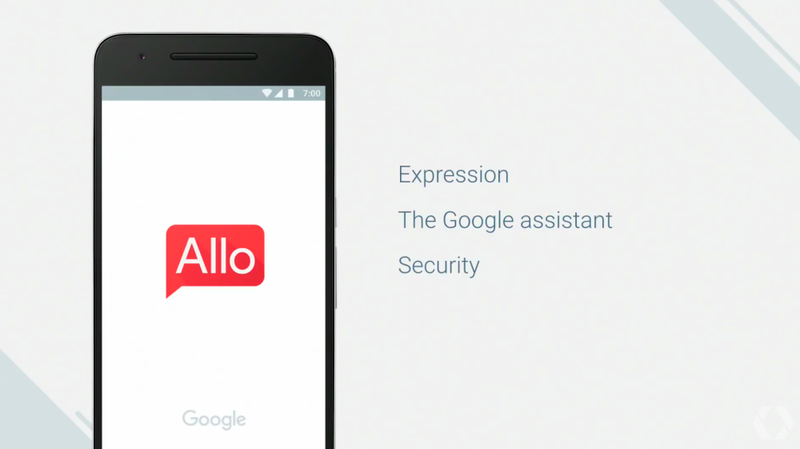 Allo can use phone numbers to connect with conversation parters with a special "incognito" mode for secure messaging as well as a "smart reply" feature like that featured in its Inbox email app. You can ask Google Assistant via Allow to grab your photos, details of scheduled events, all while speaking in the way you normally would, without stilting your speech or acting strangely in order to get a machine to understand you. We've all been there, over-enunciating and acting like fools to get voice recognition to work. How well does Allo work? We'll have to see. On the other hand, Duo is something like a "knock knock" for video messaging. You can use iOS or Android to access the app, and it's based on users' phone numbers. While in a call, Duo's HUD disappears, so you've got little to keep you from focusing on the person on the call with you. The call even begins before the video call even begins, so you can see what you're getting into before the call commences. This should cut down on awkward conversations and gives you a window into what your loved ones or friends are wanting to communicate about before you even start talking. Both apps are poised to introduce some interesting changes for mobile, but right now of course we've got to wait a bit to see them in action.